The Russian Ministry of Natural Resources and Environment has submitted a draft resolution on building an ice-resistant North Pole platform to the Government for consideration, Minister Sergei Donskoi said. The new platform would be used to study the Arctic all year round. "The Ministry of Natural Resources and Environment has submitted a Government resolution on federal investment in designing and building an ice-resistant and self-propelled North Pole platform with feasibility studies," Donskoi noted. 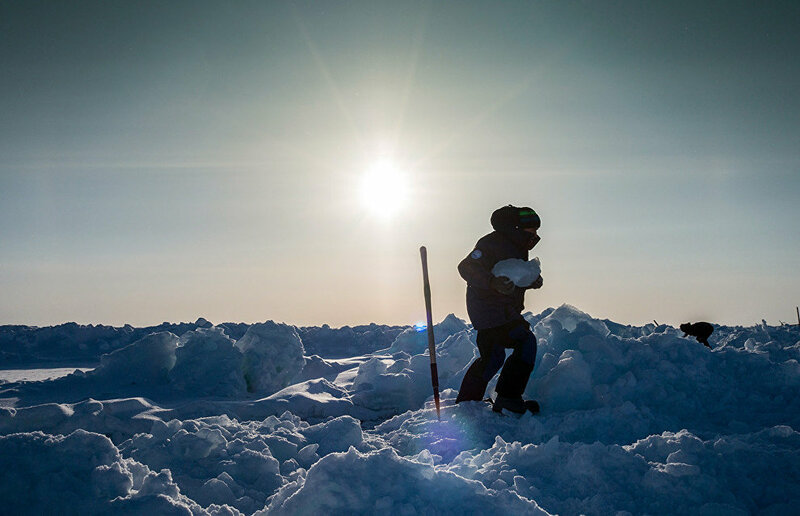 Earlier, Donskoi said construction of a North Pole platform for year-round Arctic expeditions should begin next year, and that the design work needs to start before July this year. The Ministry and the Federal Service for Hydrometeorology and Environmental Monitoring have prepared a preliminary design of the research platform with a highly durable hull, enough fuel for two-three years and a service life of about 25 years. The new platform would elevate Arctic and Antarctic research to a new level and would create the most favorable and safest working conditions. Donskoi believes that global climate change, resulting in thinning sea-ice formations, is making North Pole expedition from natural ice-floes impractical. At the same time, these projects are an important part of maintaining Russian presence in the high Arctic latitudes, and they formalize its leading position in this research.